Cook macaroni according to directions, but do not add salt to the cooking water. Drain and set aside. Spray casserole dish with nonstick cooking spray. Preheat oven to 350º F.
Lightly spray saucepan with nonstick cooking spray. Add onions and sauté for about 3 minutes. 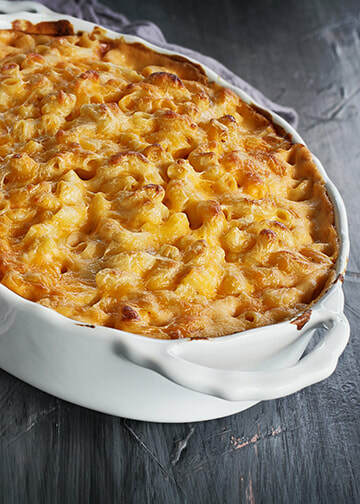 In another bowl, combine macaroni, onions, and rest of ingredients and mix. Bake for 25 minutes, or until bubbly. Let stand for 10 minutes before serving.